Emptiness performs a morose form of metal that is very much what Katatonia would be like if they played darker. The songs are brooding and take time to develop. There is a very dark atmosphere to the songs on display here and they have the ability to arch over top of you with this aspect. The music is nice for a certain mood that is more foreboding and evil. The singer of these songs has a deep voice that is appropriate for the type of music being performed, but somewhat strange. The entirety of the tracks has a very hollow sound that is conducive to the type of atmosphere the band is going for. This is appropriate and matches the aims of the band. They are certainly going for a depressing feeling with the songs and the claustrophobic aura accompanies this nicely. The problem with the album is that it is at times too sparse and seems to drag on for periods of time. This happens several times during the tracks and brings them down from a higher plane to a slightly lower one. The lack of consistency with the mood means the band is unable to match Katatonia’s better music and is relegated to a second tier in stature. The track It Might Be is a highlight with its dark and encompassing atmosphere. The band is able at times to maintain this mood, but often the music feels like it's just stretching out moments that aren’t as strong as the remainder. So, while there is some effectiveness to be found, one would wish for the band to be more unvarying in its moments that are able to bring out the darkness effectively. 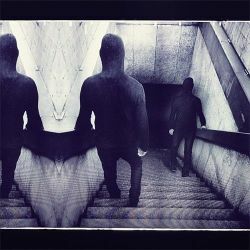 As such, Not For Music only gets a moderate recommendation to those looking for atmospheric metal that has similarities to Katatonia and My Dying Bride.